Despite being an effective treatment for back pain for more than 2,000 years, inversion therapy has long been considered an alternative treatment… one that’s largely been ignored by the mainstream healthcare community. That’s beginning to change, as hundreds of thousands of people around the world have found long-term relief from back pain, neck pain and other chronic pain issues by practicing this ancient technique. But inversion therapy does more than just provide pain relief. Many of those who practice inversion therapy on a regular basis swear that its health benefits extend into all areas of their lives. After years of research, the Army concluded that inversion therapy helped reverse the stress of the recruits’ demanding physical training. Today the elite Army Rangers fighting force regularly inverts to relieve and reverse the damage done to their bodies during their training. Because of its success in reducing the occurrence of joint-related injuries, back muscle pain, muscle spasms and compression injuries, inversion is now being considered for inclusion in every recruit’s physical training regimen. In a nutshell, inversion therapy is a spinal traction technique that involves hanging upside down or being suspended in an inverted position. This takes gravitational pressure off the nerve roots and spinal discs. You see, many cases of both upper and lower back pain are caused by compression of the spinal cord. It’s a condition known as spinal compression. From the time we’re born, our bodies — and our spinal cords, in particular — are affected by gravity. This invisible force creates pressure on our joints, bones, muscles and ligaments. A combination of gravity and muscle imbalances force your vertebrae together, pressing on your spinal discs. Inside your spinal discs is a jelly-like substance called synovial fluid. This fluid acts as a shock absorber and provides both flexibility and cushioning. Gravity forces some of this fluid out during the day into surrounding tissues. What’s worse, this pressure is often uneven. Your spinal discs simply weren’t designed to handle that kind of uneven pressure. Sooner or later, your spinal discs will bulge, or herniate. When that type of spinal injury or damage happens, it’s likely you’re looking at a life of chronic pain unless you do something about it. Inversion therapy decompresses and stretches your spine, relieving pressure and increasing the space between your spinal discs. Several well-designed studies support the use of inversion therapy for a wide variety of conditions. In fact, researchers at England’s Newcastle Hospital looked at two groups of sciatica patients who were scheduled for lumbar (lower back) disc surgery. Both groups worked with physical therapists, but one group also used an inversion device. Inversion therapy can provide pain relief for the aforementioned reasons. While pain relief is probably your main reason for researching inversion therapy, you should know there are other positive health benefits. Regularly inverting will help you avoid the “shrinkage” that naturally occurs as a result of gravity over a lifetime. When you’re inverted, your blood circulation is aided by gravity rather than having to work against it. Additionally, with inversion, gravity helps the lymphatic system clear faster, easing the aches and pains of stiff muscles. Everyone knows that a full-body stretch is rejuvenating! An inversion table provides the same feeling of relaxation as a yoga class – with a lot less effort. Many people find that they sleep better with regular inversion therapy. Any upside-down activity increases the supply of oxygen to the brain, which many experts believe helps maintain mental sharpness. With inversion, your joints stay healthy and supple, meaning you can remain as active as you were in your younger years. The stretching that comes with reversing the force of gravity on your body helps you sit, stand and move with more ease and grace. Running and other aerobic activities inevitably compress your spine – often unevenly. One-sided activities such as golf or tennis often pull the spine out of alignment. During inversion, minor misalignments often correct themselves naturally. Your first step is to choose an inversion device that best suits your needs. Your choices include inversion boots (gravity boots), inversion chairs and inversion tables. Here at the Healthy Back Institute, we recommend avoiding gravity boots. For one thing, it’s difficult to get into the proper position with these inversion boots, and you may end up making your injury or pain worse. Inversion chairs and inversion tables are a safer, gentler option. You do NOT need to be in a completely inverted position to benefit from inversion therapy, and we recommend a table or chair that allows you to control your degree of inversion. We’ve tested a lot of inversion devices here at HBI, and we strongly recommend the Seated InLine Inversion System. It will take awhile before your body will be able to tolerate full inversion. With that in mind, it’s best to take it slow in the beginning. You’ll still reap the benefits. Adjust the table or chair to go to 20-30 degrees for 1 to 2 minutes, once or twice a day. Slowly increase your time until you become comfortable with the process and the position. The best way to tell if you’re getting used to the inversion device is whether or not you can relax while you’re using it. This is considered anything up to 60 degrees, which is parallel with the rear legs of the table. Static inversion: This is when you hold yourself at the desired angle and do not move from that position. Intermittent Inversion: This involves using a rocking motion, alternating 20 to 30 seconds in the inverted position and 20 to 30 seconds in the upright position. Some people believe that it is the pumping action that delivers the best results. You will have to experiment to see which way is most comfortable and works best for you. This is when your body is completely upside down and hanging freely. The amount of time you spend is up to you, but 5 to 15 minutes twice a day is recommended. The amount of time it takes for you to tolerate full inversion will depend on your ability to accommodate to the position; everyone is different so go slow. Once you can tolerate full inversion, you can start adding inversion exercises to your routine. This video shows some fundamental inversion table exercises to try. Check out this post to learn five great inversion exercises. There’s also a video to show you the moves. 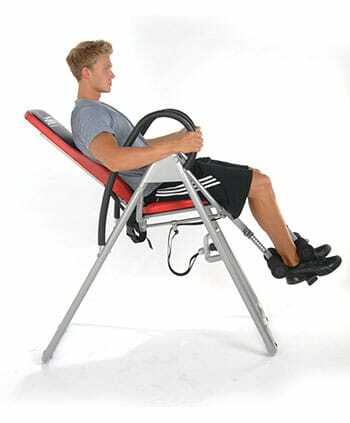 Be patient and consistent with its use, the inversion table is a device that can be used for a lifetime to support optimal health. So make a habit of using it on a consistent basis. Ready to try inversion therapy? Click right here. 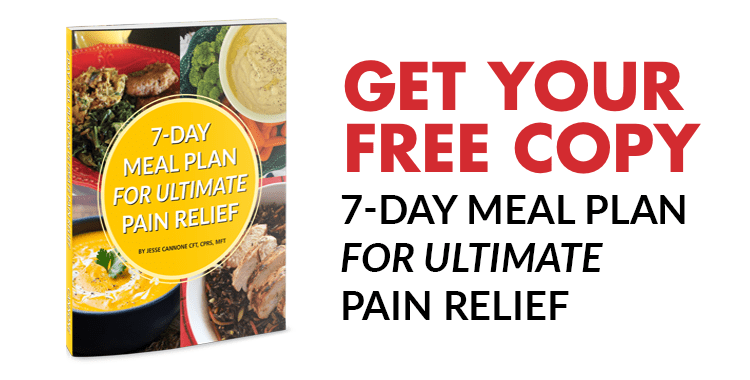 Get lasting back pain relief without doctors, drugs or surgeries. 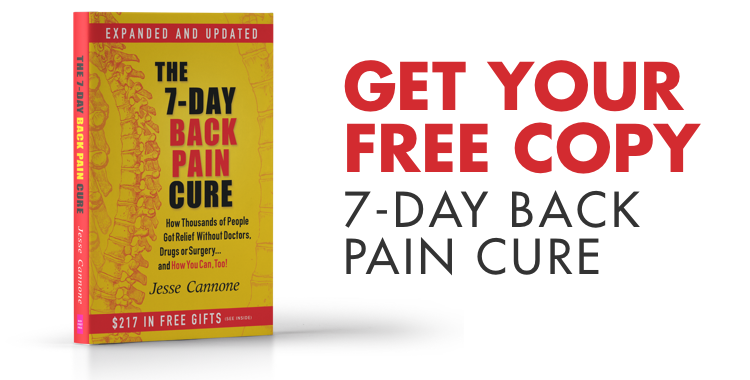 Find out how in The 7-Day Back Pain Cure, which you can download right here.